The University of Missouri College of Veterinary Medicine officials recently changed the name of the Veterinary Medical Teaching Hospital to the Veterinary Health Center (VHC). The center now comprises the Equine Hospital, Food Animal Hospital, Small Animal Hospital and Veterinary Medical Diagnostic Laboratory. The name change better reflects the range of services provided through the hospitals, clinics and diagnostic lab, said CVM Dean Neil C. Olson. “Educating future veterinary clinicians and scientists is at the heart of our mission,” Olson said. “However, the former name did not fully reflect the scope of our objectives, which also encompass healing, discovery and service,” Olson said. “We think this new name will help increase awareness of the advanced care available through each of our hospitals,” added VHC Hospital Director David Wilson. “We are a referral center for the entire Midwest and have the most advanced imaging and state-of-the-art diagnostic capabilities available in veterinary medicine. Clients may also be interested in learning about clinical trials conducted at MU and whether their pet may be eligible to participate, particularly in the fields of internal medicine, neurology and oncology,” Wilson said. The new name incorporates the primary service functions of the College of Veterinary Medicine, which led to the change in the organizational structure, placing the Veterinary Medical Diagnostic Laboratory (VMDL) under the VHC umbrella. 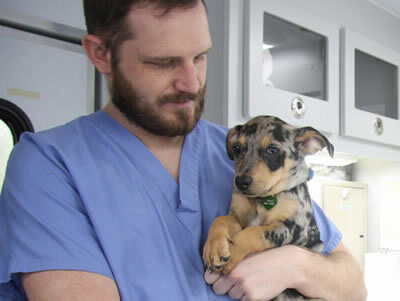 The laboratory is the most comprehensive in Missouri and the only one in the state that has full accreditation from the American Association of Veterinary Laboratory Diagnosticians. 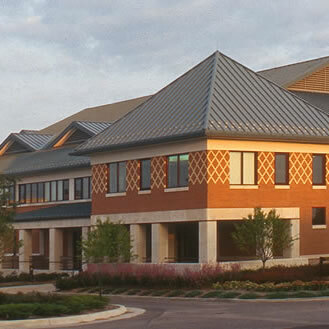 The VMDL performs more than 85,000 tests each year providing laboratory diagnostic support to veterinary practitioners and pet owners, livestock and poultry industry interests, wildlife conservationists, researchers throughout the University of Missouri, state and regulatory officials, and clinicians in the VHC hospitals. The lab is a member of the National Animal Health Laboratory Network, which responds to animal disease outbreaks, such as the recent outbreak of avian influenza, and other adverse animal health events of significant consequence. It is also a Tier I laboratory of the Food and Drug Administration Veterinary Laboratory Investigation and Response Network, which investigates cases of potential foodborne illness in animals. As part of the new identity, the Mizzou Animal Cancer Care facility in Wentzville, Missouri, will also have a new name. It will become the Veterinary Health Center in Wentzville. In addition to offering radiation oncology and pet behavioral services, the VHC in Wentzville will begin providing dermatology services this spring.